1 Britain's Foreign Secretary Boris Johnson gestures as he looks at a humanoid robot at Research Institute for Science and Engineering at Waseda University's campus in Tokyo. 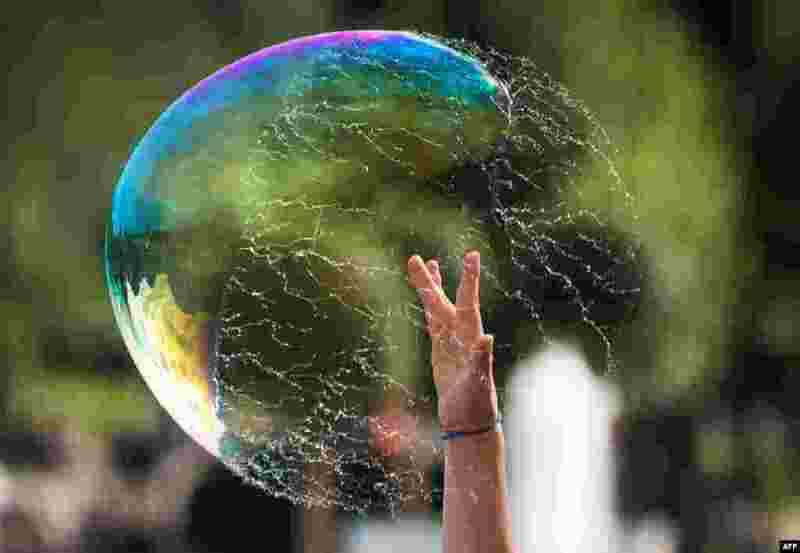 2 A boy bursts a soap-bubble at Gorky Park in Moscow, Russia. 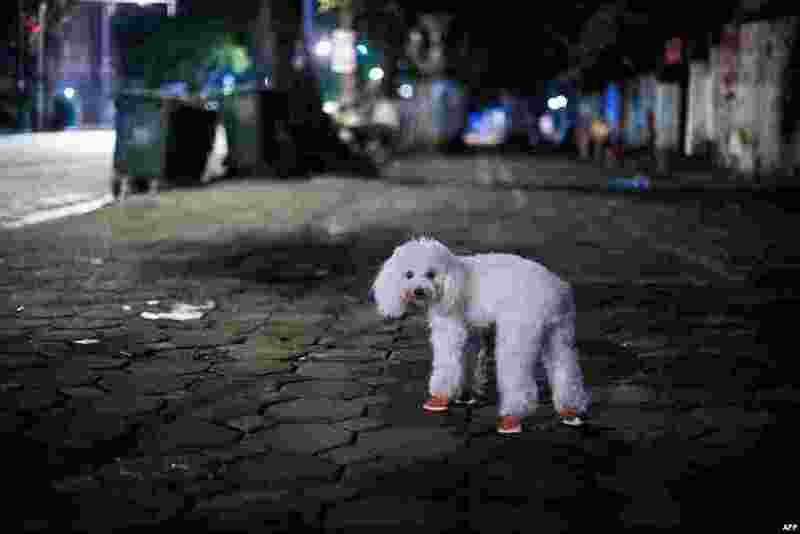 3 A poodle wearing small booties stands near its owner at a sidewalk in downtown Hanoi, Vietnam. 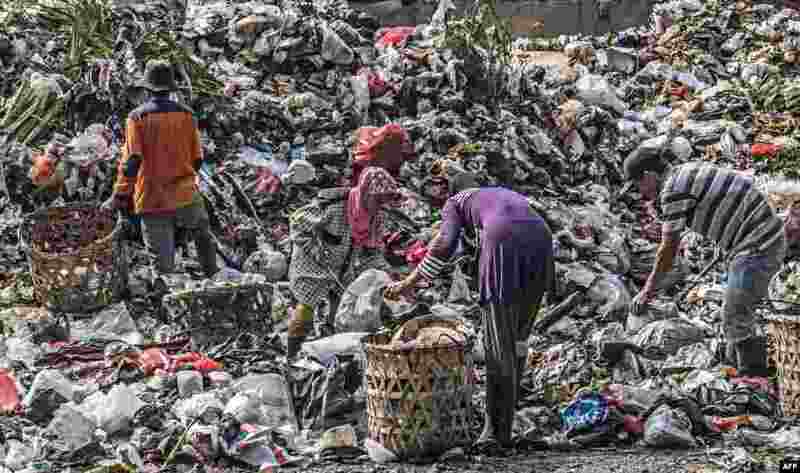 4 Scavengers collect valuable items to resale at a garbage dump in Jakarta, Indonesia.